Gridlock Momentum is a Progressive Rock project that is heavily influenced by 70's Psychedelic bands and 80's New Wave formations. Besides these influences, styles are clearly showing classic symphonic, as well as jazz concepts. Gridlock Momentum is a continuation of several music-projects from the past (1981 - 1998). Currently the project consists mainly of Hans Peter Willems as composer/songwriter, keyboardist and vocalist, and Tom Tramper on rythm and lead guitars. During projects other musicians participate on a 'while I'm here' basis. 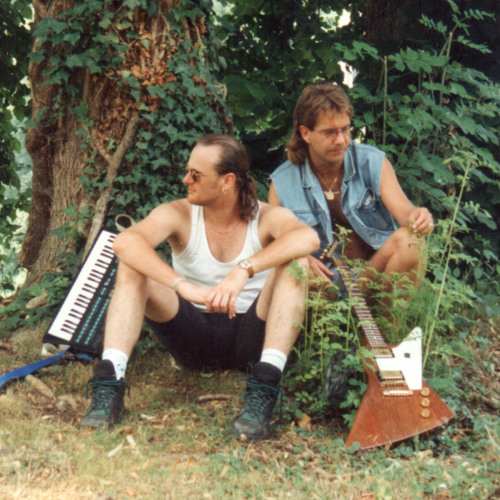 Hans Peter plays piano, synthesizers, organ, Midi-sax and does drum-programming, besides main and backing vocals.